The family Kwanzaa celebration can be made even more special when the children contributes to the festive air. Youngsters can enhance their family's Kwanzaa celebration with a "Light the Candles" Kwanzaa Card, a Nguzo Saba Favor, or a Bendera Notepad all made from easy-to-find houshold materials. 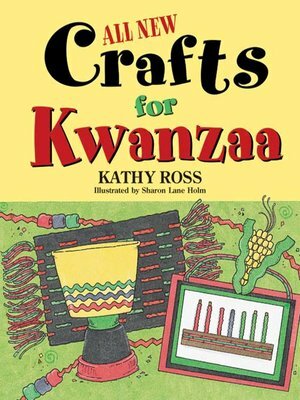 Among the twenty-two easy-to-make crafts are some projects that can be used to decorate for and celebrate the holiday and others that emphasize the meaning of Kwanzaa.